Radio Tyneside’s Geordie Hour is the only radio show in the world dedicated to the talents of musicians, writers, bands and entertainers from the North East of England. Past and present. 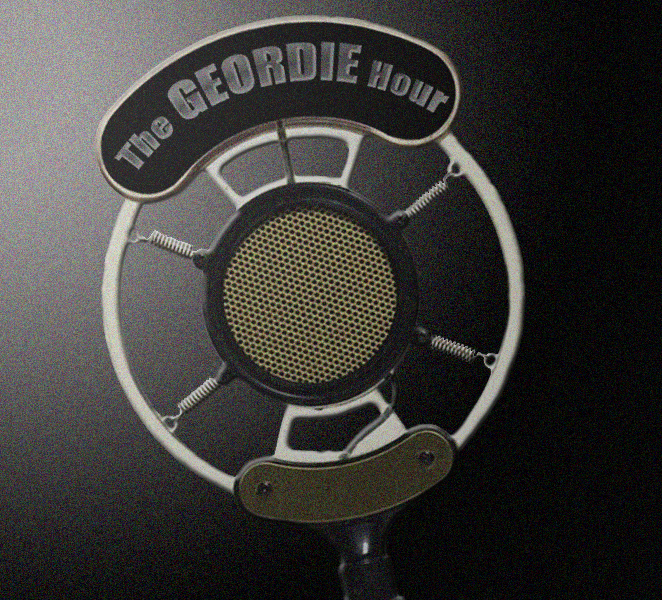 Presented by Gary Hogg, The Geordie Hour goes out on Radio Tyneside 93.6FM and online worldwide. We play all types of music as long as it's suitable for people listening on the wards and a Sunday afternoon audience! Pop, Blues, Folk, Jazz, Country, Choirs, Traditional, Classical, Brass, 20s, 30s Swing, Rockabilly, Americana, Bluegrass - all of which we have in abundance here in the North East! 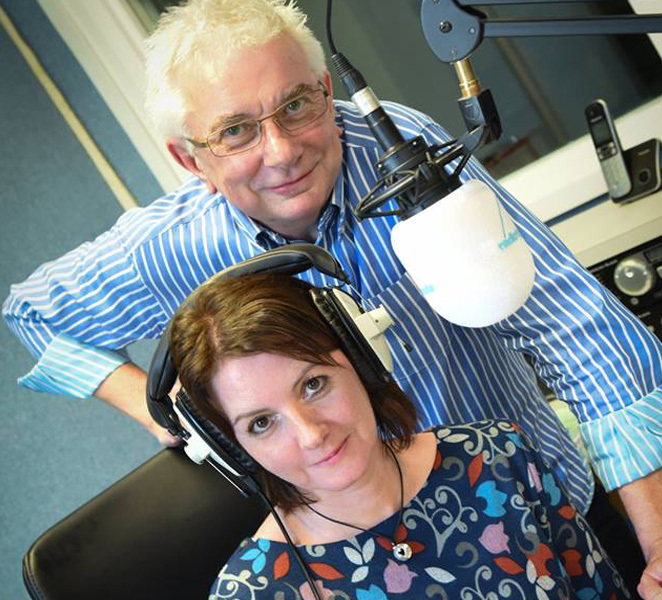 We are delighted to be part of one of the top hospital radio stations in the country at Radio Tyneside. After six years of broadcasting, Radio Tyneside’s Geordie Hour has now won NINE National Hospital Radio Awards! In 2018 the awards ceremony was held in Windsor and the Geordie Hour won Gold in the ‘Best Specialist Music’ category. In 2017 the awards ceremony was held in Bolton. Gary and Karis couldn’t make it on the night but did a live show from the Radio Tyneside studios and linked up with the team in Bolton and gave live updates. We were delighted that Radio Tyneside won 5 awards including ‘Station of the Year’ AND the Geordie Hour won Gold in the ‘Specialist Music’ category. In 2016 the awards ceremony was held at The Hilton in Watford. The Geordie Hour won Gold in the Specialist Music category. We also won Gold in the Best Speech Package category for our comedy drama ‘Dr Kinlay’s Facebook’ The Station promo which we put together (and sang on!) For Radio Tyneside also won a Gold award. In 2015 the event was held in our hometown and we came away with a Gold award for the Geordie Hour and a Gold award for our Fairly Truthful Guide to Geordie documentary. "Great presentation style and content. Outstanding. Local radio could learn a lot from this show. Wonderful idea, executed with warmth and humour. Entertaining, engaging, and a joy to listen to." "This entry is a great concept for a show, wonderfully local to Tyneside, a presenter with a great personality, constantly amusing and engaging. Brilliant!" In 2013, Karis and Gary braved the snow and blizzards, travelled down to the Hilton in Blackpool and met up with the rest of the Radio Tyneside gang. We were delighted to win THREE awards between us! The Geordie Hour won the Silver in the specialist music category. "Creative and original, with a relaxed, friendly and welcoming style to the presentation. Local and informative too." This is a documentary based on Gary’s book of the same name. A lot of research went into writing the book but just as much work went into editing it down and making it into a radio programme. 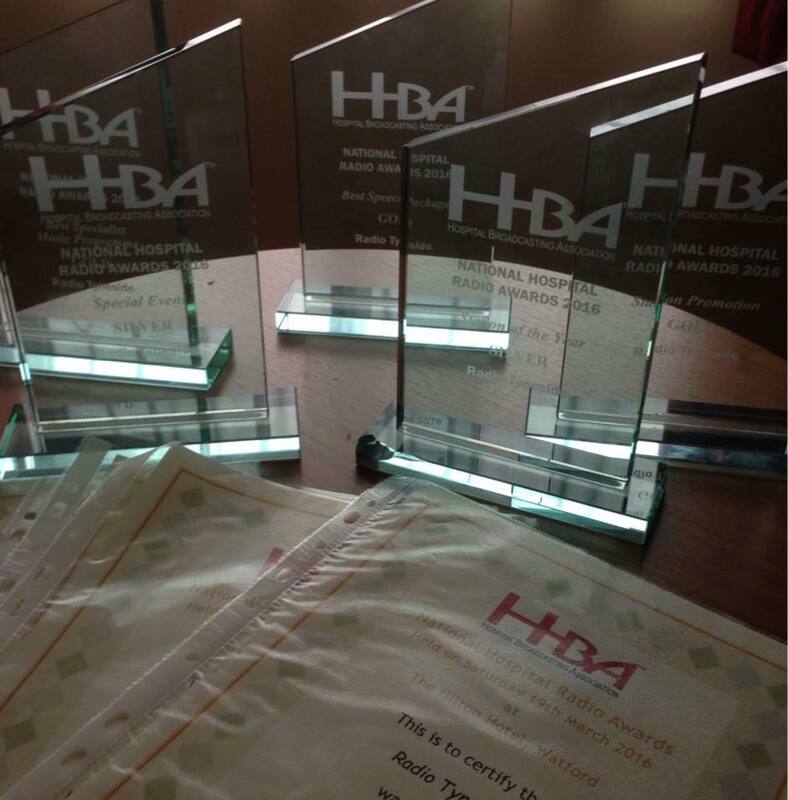 Radio Tyneside entered us for the Best Speech Package category at the National Hospital Broadcasting Awards 2015. And we won Gold! "This is simple radio, but beautifully done. Excellently told and good use of sound effects. Outstanding. Very impressive editing, soundscaping and humour. Loved the knowledge, and particularly liked the subversion of Casablanca. Brilliantly executed." This is a comedy drama written by Gary & Karis and performed by them and a lot of the guests and contributors we’ve had on the show during the year. It was a lot of fun getting people to record the odd line or two. For instance, our Geordie Hour Live compere Dave Normanton provided the voice for Long John Silver. BBC Musician of the Year Tom McConville played the part of Hoo Man You the Chinese takeaway owner. Lucy Falkenau from Geordie Hour favourites The Attic Band played the part of a nurse. Radio Tyneside entered us for the Best Speech Package category at the National Hospital Broadcasting Awards 2016. And we won Gold! "The judges felt this raised a smile, indeed more than a smile, it made them laugh out loud. Comedy can be difficult – comedy in hospital even more so but this entry hit the spot. A very entertaining, well thought out, production."